Wed 12/12 7pm-8pm John Shelton Reed discusses Dixie Bohemia: A French Quarter Circle in the 1920s In the years following World War I, the New Orleans's French Quarter attracted artists and writers with its low rents, faded charm, and colorful street life. By the 1920s Jackson Square had become the center of a vibrant if short-lived bohemia. A young William Faulkner and his roommate William Spratling, an artist who taught at Tulane, were among the "artful and crafty ones of the French Quarter," as they styled themselves. In Dixie Bohemia John Shelton Reed introduces Faulkner s circle of friends ranging from the distinguished writer Sherwood Anderson to a gender-bending Mardi Gras costume designer, from Tulane s president to one of its cheerleaders and brings to life the people and places of New Orleans in the jazz age. John Shelton Reed is William Rand Kenan Jr. Professor Emeritus of sociology at UNC - Chapel Hill, and a co-founder of the Center for the Study of the American South and the quarterly Southern Cultures. He has written or edited 19 books, most of them about the American South, and was recently Chancellor of the Fellowship of Southern Writers. In the years following World War I, the New Orleans French Quarter attracted artists and writers with its low rents, faded charm, and colorful street life. By the 1920s Jackson Square had become the center of a vibrant if short-lived bohemia. A young William Faulkner and his roommate William Spratling, an artist who taught at Tulane University, resided among the ''artful and crafty ones of the French Quarter.'' In Dixie Bohemia John Shelton Reed introduces Faulkner's circle of friends--ranging from the distinguished Sherwood Anderson to a gender-bending Mardi Gras costume designer--and brings to life the people and places of New Orleans in the Jazz Age. In the years following World War I, the New Orleans French Quarter attracted artists and writers with low rent, a faded charm, and colorful street life. By the 1920s Jackson Square became the center of a vibrant but short-lived bohemia. A young William Faulkner and his roommate William Spratling, an artist who taught at Tulane, were among the "artful and crafty ones of the French Quarter," In Dixie Bohemia John Shelton Reed introduces Faulkner's circle of friends ranging from the distinguished Sherwood Anderson to a gender-bending Mardi Gras costume designer and brings to life the people and places of New Orleans in the jazz age. Reed begins with Faulkner and Spratling's self-published homage to their fellow bohemians, Sherwood Anderson and Other Famous Creoles. The book was comprised of 43 sketches of New Orleans artists, by Spratling, with captions and a short introduction by Faulkner. The title was a rather obscure joke, Sherwood was not a Creole and neither were most of the people featured. But with Reed's commentary, these profiles serve as an entry into the world of litterateurs and dramatists that dined on Decatur Street, attended masked balls, and blatantly ignored the Prohibition Act. These individuals also helped establish New Orleans institutions like the Double Dealer literary magazine, the Arts & Crafts Club, and Le Petit Theatre. But unlike most bohemias, Reed explains, the one in New Orleans was predominately white and rigidly segregated. Though many of them were relatively progressive, and often employed African-American material in their own work, Reed notes that few of them knew or cared about what was going on across town among the city s black intellectuals and artists. The positive developments from this renaissance, however, attracted attention and visitors, inspiring the historic preservation and commercial revitalization that turned the area from a slum into a tourist destination. Predictably, this gentrification drove out many of the working artists and writers who helped revived the area. As Reed points out one resident who had identified herself as an artist on the 1920 federal census gave her occupation in 1930 as "saleslady, real estate," reflecting eventual decline of a once blossoming artistic class. A charming and insightful glimpse into an era, Dixie Bohemia describes the writers, artists, poseurs, and hangers-on of the New Orleans art scene in the 1920s and illuminates how this dazzling world faded as quickly as it began. Please join us for a signing with John Shelton Reed who will present and sign his new book, DIXIE BOHEMEIA: A French Quarter Circle in the 1920's, a charming and insightful glimpse into an era. In the years following World War I, the New Orleans French Quarter attracted artists and writers with its low rents, faded charm, and colorful street life. By the 1920s Jackson Square had become the center of a vibrant if short-lived bohemia. A young William Faulkner and his roommate William Spratling, an artist who taught at Tulane University, resided among the “artful and crafty ones of the French Quarter.” In Dixie Bohemia John Shelton Reed introduces Faulkner’s circle of friends—ranging from the distinguished Sherwood Anderson to a gender-bending Mardi Gras costume designer. Reed begins with Faulkner and Spratling’s self-published homage to their fellow bohemians, “Sherwood Anderson and Other Famous Creoles.” The book contained 43 sketches of New Orleans artists, by Spratling, with captions and a short introduction by Faulkner. The title served as a rather obscure joke: Sherwood was not a Creole and neither were most of the people featured. But with Reed’s commentary, these profiles serve as an entry into the world of artists and writers that dined on Decatur Street, attended masked balls, and blatantly ignored the Prohibition Act. These men and women also helped to establish New Orleans institutions such as the Double Dealer literary magazine and Le Petit Theatre. The positive developments from this French Quarter renaissance attracted attention and visitors, inspiring the historic preservation and commercial revitalization that turned the area into a tourist destination. Predictably, this gentrification drove out many of the working artists and writers who had helped revive the area. John Shelton Reed is William Rand Kenan Jr. Professor Emeritus of sociology at the University of North Carolina, Chapel Hill, and a co-founder of the Center for the Study of the American South and the quarterly Southern Cultures. He has written or edited 19 books, most of them about the American South, and was recently Chancellor of the Fellowship of Southern Writers. John Shelton Reed , Holy Smoke: The Big Book of North Carolina Barbecue. Meet the authors of this definitve guide to the people, recipes, and lore of N.C. barbecue. John Shelton Reed and Dale Volberg Reed are members of the Southern Foodways Alliance and the North Carolina Barbecue Society. They have collaborated on other books, including 1001 Things Everyone Should Know about the South and Cornbread Nation 4: The Best of Southern Food Writing. "Brimming with factoids, field intelligence, received wisdom, and fine art, Holy Smoke is a harmonic convergence that resonates with good-natured humor. It is as entertaining as it is informative." -John Egerton, author of Southern Food: At Home, on the Road, in History. 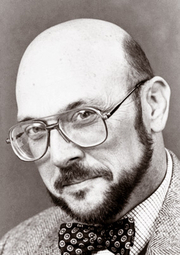 John Shelton Reed is currently considered a "single author." If one or more works are by a distinct, homonymous authors, go ahead and split the author. John Shelton Reed is composed of 2 names. You can examine and separate out names.